Life as such is quite complicated that poses several obstacles and issues in front of us on a regular basis. There is no doubt about that and it has always been about survival of the fittest as well. One among the several complications or issues we could be put through is pest related problems. And almost every home of every neighborhood goes through such pest problems, including Delta BC and Richmond area. Pest control is absolutely quite critical for every home and no one should neglect this. Most of us lead a very stressful life to secure our future and provide for our families. And only the fittest could survive in this world. Everybody aspires to lead a healthy and good life and they strive very hard to get that physical and mental state which helps them to sustain life. These pests if not curtailed could severely hamper your health as they are a common source for spreading disease. There are two ways to handle this problem. You can choose to get rid of mice and rats by yourself. There are a huge number of websites online providing tips and guidelines regarding how to handle or get rid of different kinds of pests. These tips are more than resourceful, especially when the pest infestation is quite small in numbers. However, one would advise you to opt for professional pest control companies such as Avon Pest Control to handle your pest related problems. The problem with handling the situation on your own is just that there is no permanent solution for getting rid of the infestation. These solutions, tips and guidelines will only help you to get rid of them on a temporary basis. And it gives a slim chance for the same kind of pests to creep back into your home in larger groups. That is exactly why you need to consider calling professional Metro Vancouver rat exterminators. Besides, thye typical means or methods are not safe for your neighborhood. These pests, especially rats, spread quite aggressively and they affect not just your home but the entire neighborhood. They are more than capable of making your locality an epidemic once diseases start spreading. Professional exterminators help you to avoid such drastic consequences. They are the only people who could give you a permanent solution. Richmond rat control services are truly more than capable of wiping your area clean of rats and mice. When it comes to rats and mice, understand that special techniques and pest control measures are to be applied in order to get rid of them. Common DIY methods (Do It yourself methods) are not sufficient enough to take care of the situation. You need to have the knowledge, expertise and sufficient resources and equipment to get rid of Mice. Unfortunately most of us lack that expertise or background knowledge. Professionals on the other hand are highly skilled, equipped and experienced to provide efficient and effective solutions for getting rid of them. Sometimes the solution is as simple as an expert finding and closing off small entry points to your house with wire mesh, other solutions are more complex. 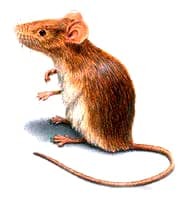 Delta rodent control and mice extermination services are more than 100% efficient for not just exterminating mice and rats infestation but for also safeguarding your home from future infestations. Their measures also keep your neighborhood safe. As a resident of your locality, it is an obligation for you to not just safeguard your home, but your entire neighborhood so that your child might be able to grow in a healthy environment. There is no better solution than to go for expert exterminators for your pest related issues.